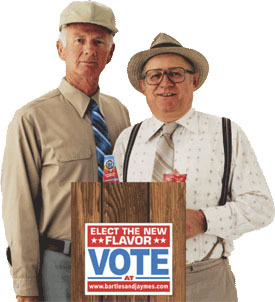 Bartles and Jaymes used to make wine coolers in the United States. Frank and Red were the spokespersons. Were these guys the owners of the company? I don’t know. I don’t even know why I know their names. I probably watched too much TV. I sat down to write this post, and that’s who I thought of. My mind works in funny ways sometimes. Four years ago, in August 2006, Carrie and I decided to start a site where we could talk about everything we were doing… both separately and as a couple. As far as we’re concerned, we’re just getting warmed up! Thank-you for coming along on our journey, and for taking us along on yours as well. And thank-you for your support.